We encourage you to first check out your local bookstore for these titles. For Kevin Pitcairn, the letter from a serial killer awaiting execution comes with implications he can’t ignore. The writer’s guilt is clear―at least in a legal sense. 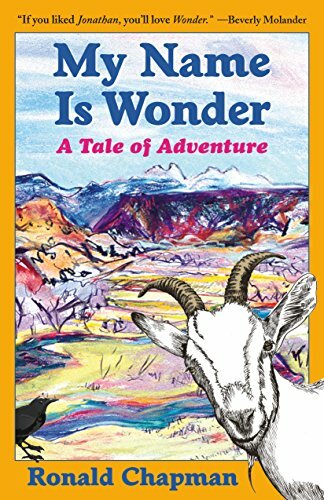 But the questions he raises draw Pitcairn into a compelling journey of investigation whose profound psychological and spiritual implications hurl his live into upheaval. As he tries to determine and tell the killer’s true story, Pitcairn plunges deeper into the pit his own demons have created and trapped him in. 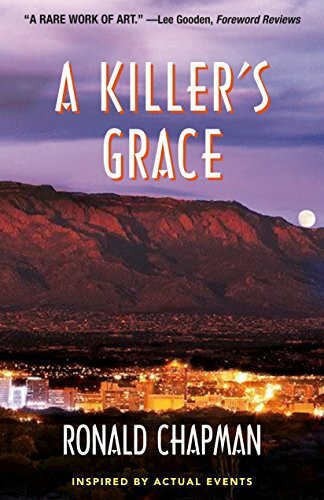 His journalist’s curiosity becomes a compulsion as events bind him tighter and tighter, propelling him from New Mexico’s stark high desert into an increasingly hostile wider world. Murder, mystery, and redemption shape Pitcairn’s struggle to answer the moral questions left festering by the killer’s horrible crimes: What is the nature of evil? What choices do any of us truly have? How can we reconcile with our most painful wounds and the people who have inflicted them? Seeing True is that which lies on the other side of our blindness; and the only path out of blindness is learning to see. Seeing True is a guide and workbook for dispelling our illusions. 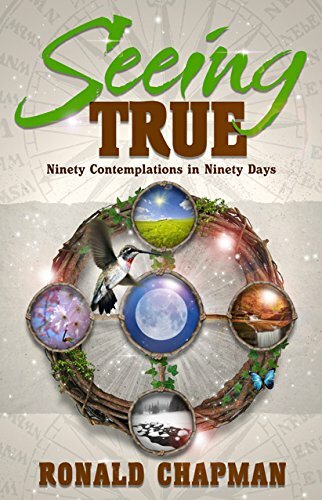 It contains ninety contemplations, as well as a few simple questions to consider. Ample space is provided for written response. The immediate goals are to create the habit of contemplation, and to produce a small crack in the armor of ego through which deeper understanding can grow. The long term goal is freedom from the illusions that contract us and limit our lives. We are designed by Life itself to be spiritually fulfilled and lead enriched lives. Anything less is a measure of illusion's grip on us, though it would be foolish to presume that we can define the terms of fulfillment and enrichment. Each of us finds inner satisfaction in our own way. That which pleases me may not please you. In the end, we may even find that our desires for fulfillment evolve or change. We cannot predict the outcome. 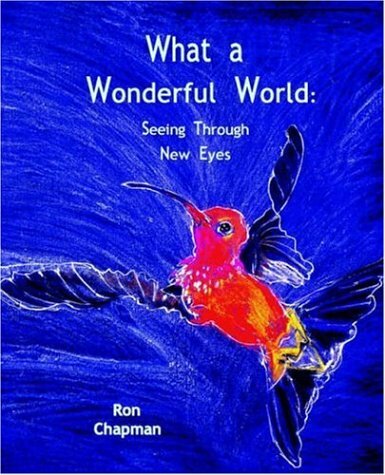 "Ron Chapman's insight to himself provides each of us the opportunity to gain greater insight to ourselves, who we are, and why we see the world as we do. He writes of the joys and fears common to us all, but that few of us can express in words. Chapman is a great storyteller! I felt I was there with him as he shared the events and insights of his life. I envy him for the mentors he's found and the insights they share with him. This book gives provides me a vicarious mentor that I can go to when in need. Thanks, Ron." 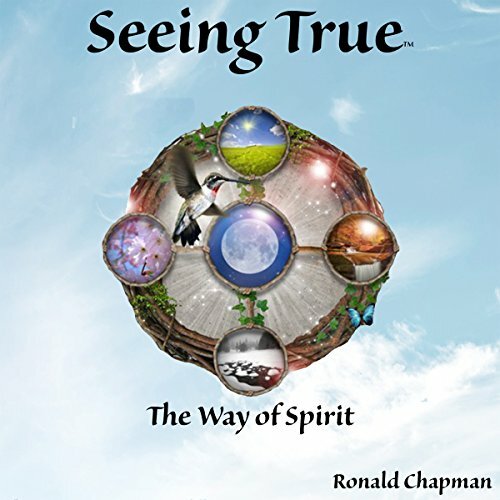 Seeing True: The Way of Spirit CD Set by Ronald Chapman- promotes an experience of the ways and means by which Spirit weaves in and through our lives. With this unique framework for insight and understanding, we learn to see and to express with a certainty that the Divine is intimately intertwined with us every moment of our lives. Long-time spiritual teacher and aspiring mystic Ronald Chapman has invested thirty years in understanding the play of miracles in his life. As a mentor to others and a facilitator for organizations,he practices and teaches awareness and observation approaches to aid in recognizing the Divine in all things. Ronald is also an internationally accredited speaker and workshop leader, a national award winning radio commentator, and author of two novels, My Name is Wonder and A Killer's Grace , a meditation audio set , Breathing, Releasing, and Breaking Through , and the workbook, Seeing True: Ninety Contemplations in Ninety Days. Ronald Chapman's Seeing True approach guides individuals and organizations to realize their full potential by deepening their understanding. 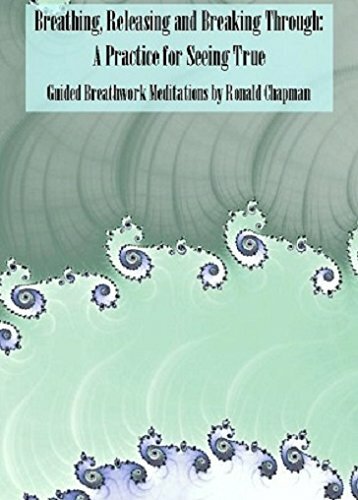 After two decades of research and experience a body of work has arisen that involves the use of breath work and meditation to further growth and development. The techniques bypass our intellect to nurture greater understanding, deepen our awareness, and allow us to act with greater clarity and effectiveness. Now Ronald has brought together those practices in an instructional three disc format to sup-port our efforts to realize a life that is more whole. Those who use these practices invariably experience greater inner calm, while some report significant, positive changes in relationships with others, the world and themselves.